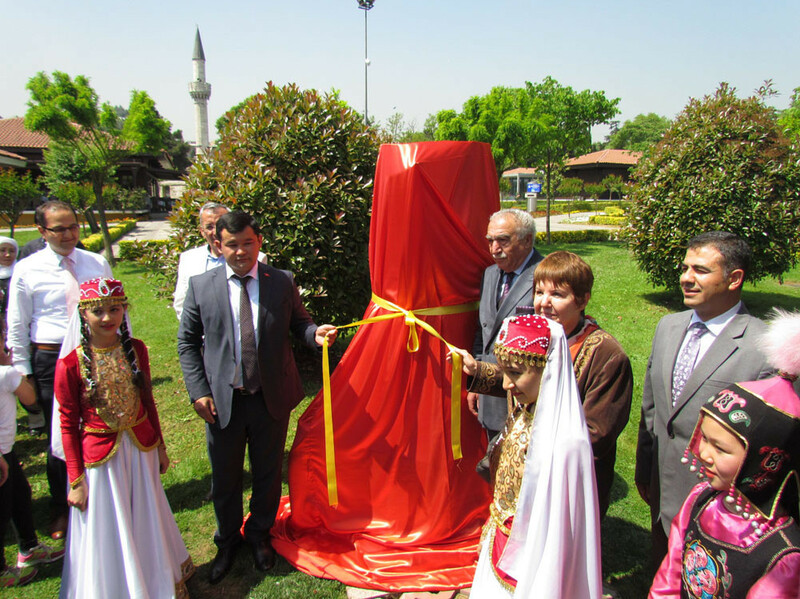 The Burana Tower model is opened to visitors after an official ceremony at the Topkapı Turkish World Cultural Site. 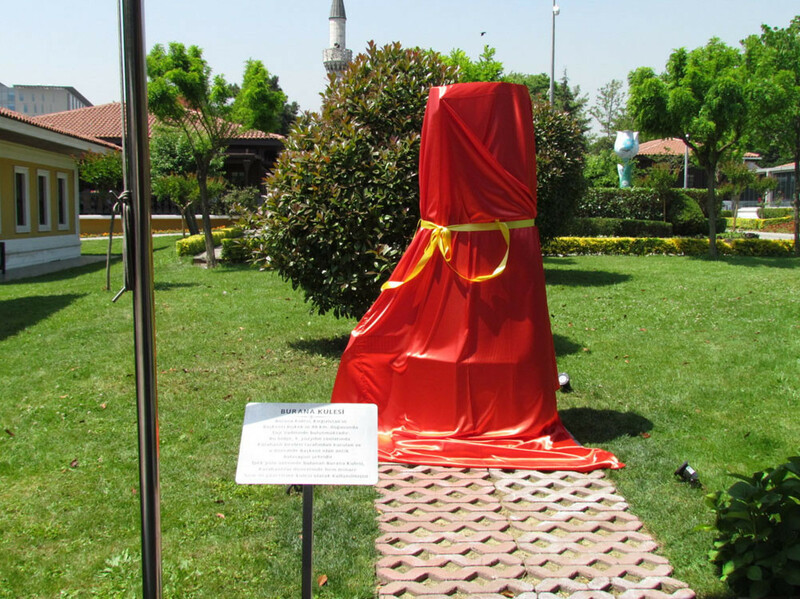 The Burana Tower model is added to the other models of the historical and architectural monument at the Topkapı Turkish World Cultural Site inside the İstanbul Metropolitan Municipality Culture Co. Headquarters area. 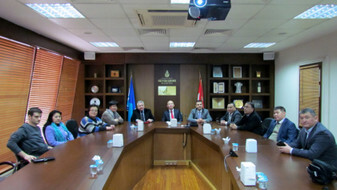 İstanbul Consul General of Kyrgyzstan Mr. Ranat Tuleberdiev, Culture Co. General Manager Nevzat Kütük, Yakup Can, on behalf of the Eurasian Federation of Turkish Associations, President of the Turkish Association of Ural Turks Gülten Uralla and the other invitees attended the opening ceremony of the Burana Tower model. 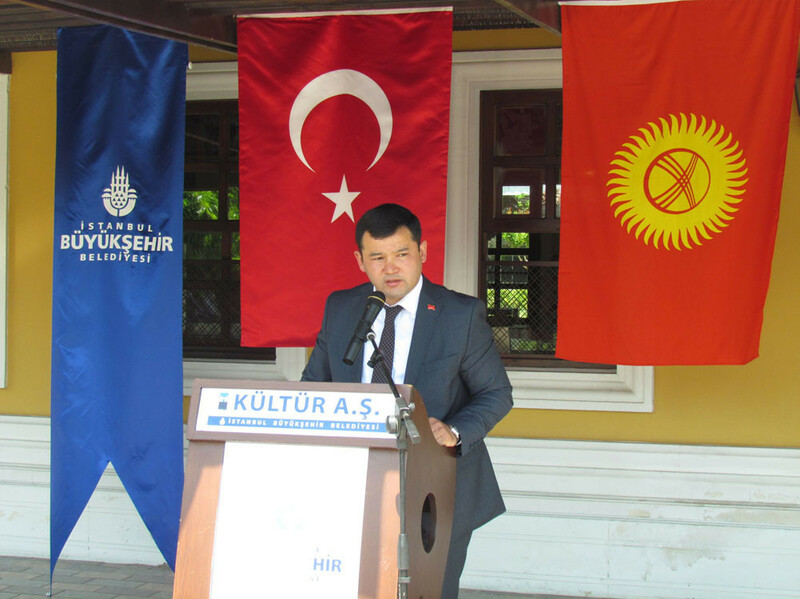 Culture Co. General Manager Nevzat Kütük, in his speech, reminded that they have organized various activities on different occasions at the Cultural Site where the Cultural Houses of the Turkish Republics are located. 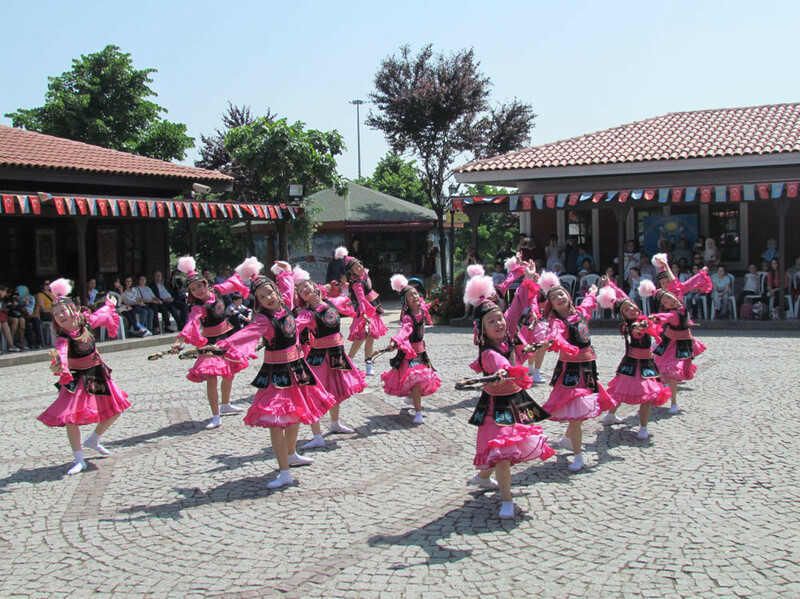 Culture Co. General Director Nevzat Kütük said that “we are in pursuit of organizing activities which aim to bring together, and to mix a generation that has been torn apart in the past for whatever reason and to ensure survival of our common values”. 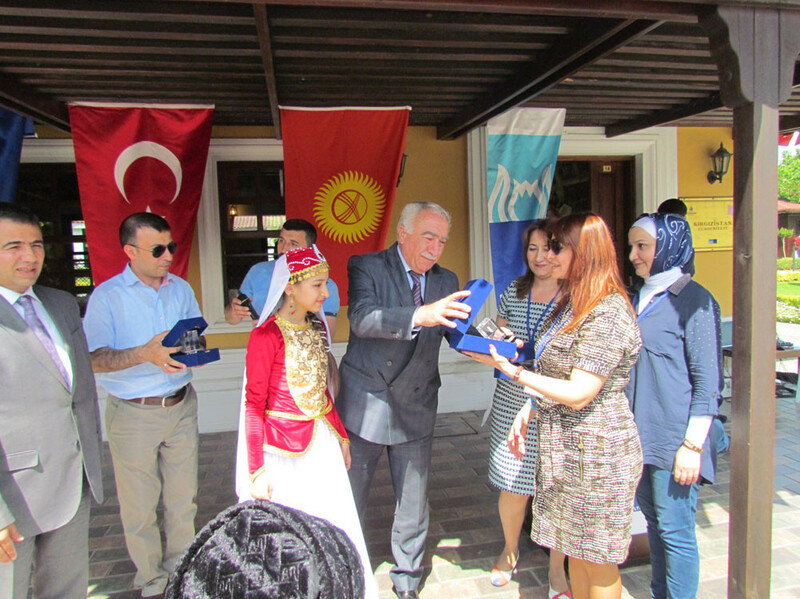 Kütük also stated that they aim to contribute the promotion of the Turkish Republics and the tourism potentials of them by exhibiting the models of the symbolic monuments of these countries. 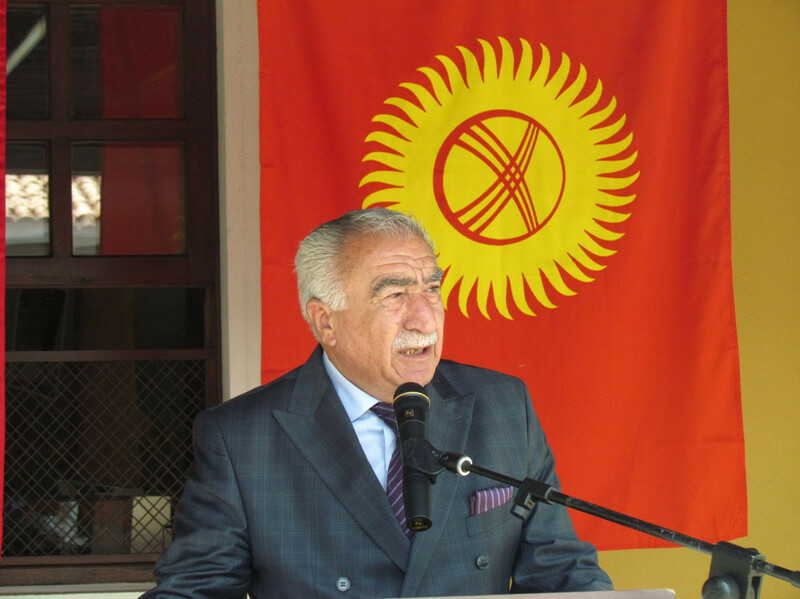 Mr. Kütük also stated the model of the monument that opened to visitors today is the Burana Tower which is located at the 80 km east of the Kyrgyzstan’s capital Bishkek, in the Chuy valley. 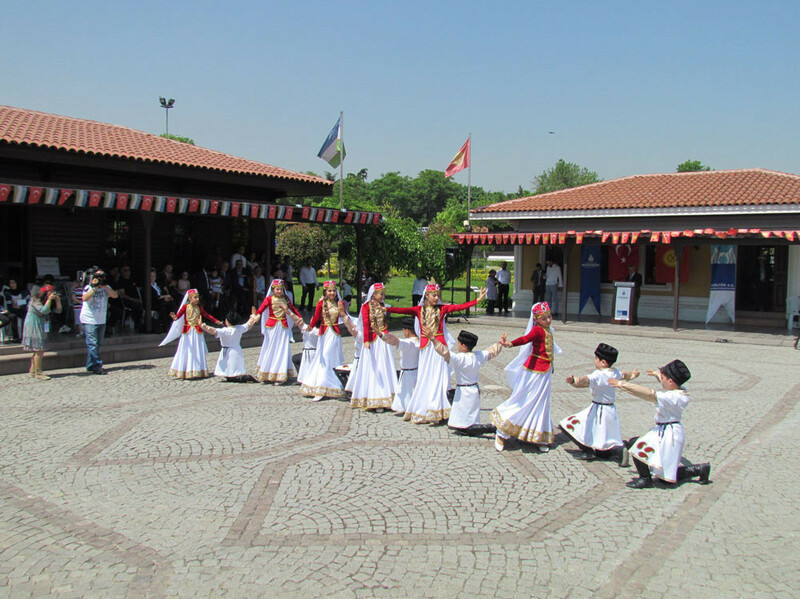 This region was the ancient capital city Balasagun (Burana) founded by Karahanli State at the end of the 9th century. The Burana Tower was used as a watchtower and a minaret. It was 45 meters high when it was first built. 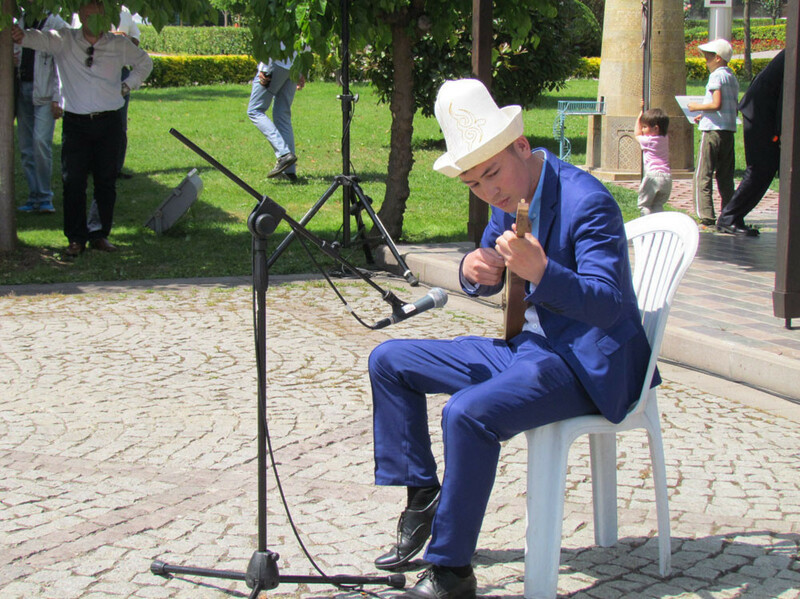 It was damaged after a 15th century earthquake and the part remained today is only 25 meters, he added. 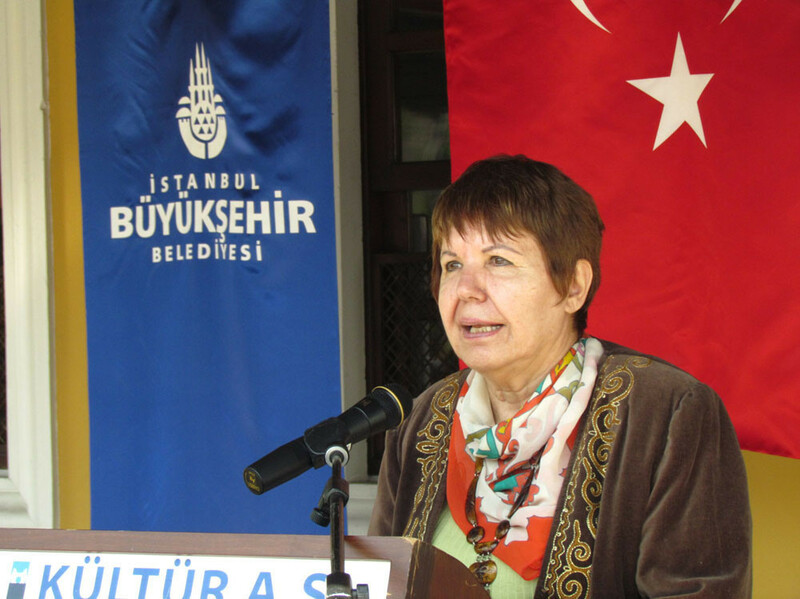 Stressing that she served as an expert and did many researches three years each in Hoca Ahmet Yesevi University and Manas University in the field of General Turkish History, she said that “Artifacts found in archaeological excavations, architectural works, agricultural tools, and pressing machines show us clearly that Turks were not only satisfied with military victories, but also have a very rich cultural history. 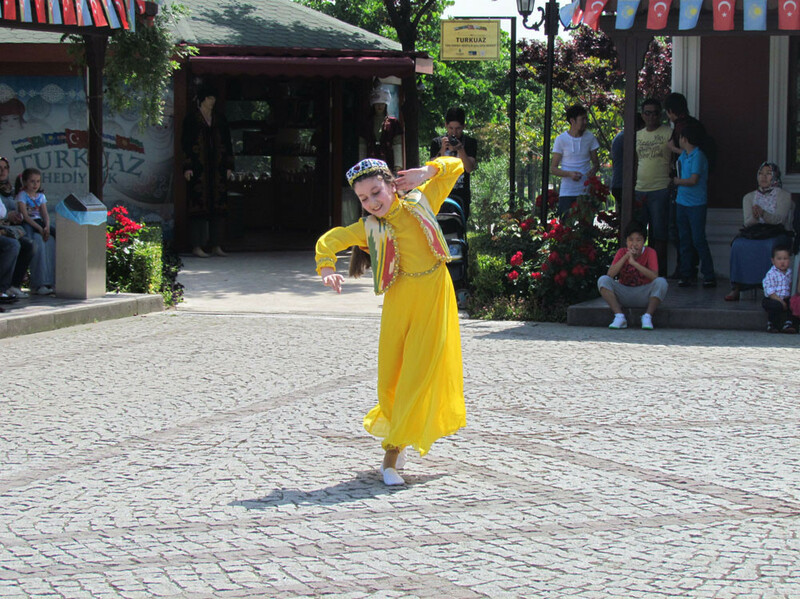 The Burana Tower, which was first built as a watchtower, was used as a minaret after the adoption of Islam. 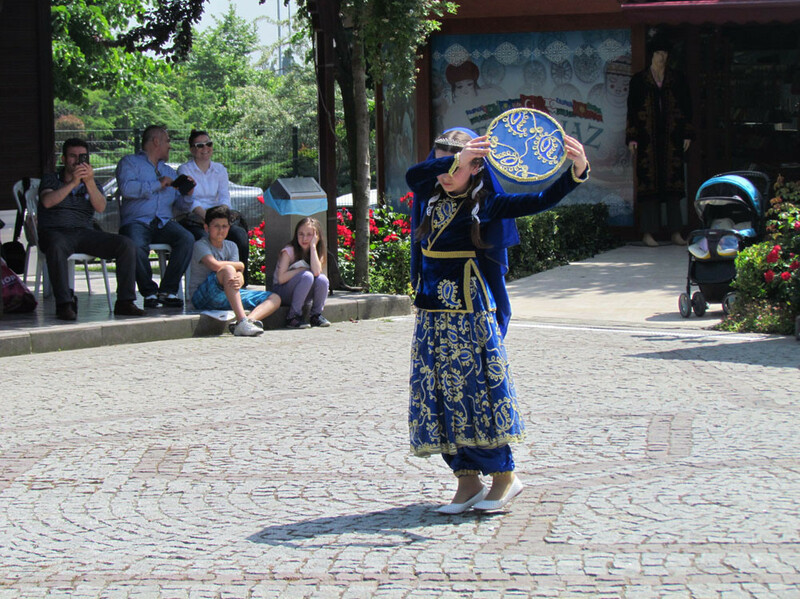 There are beautiful geometrical motifs on it. 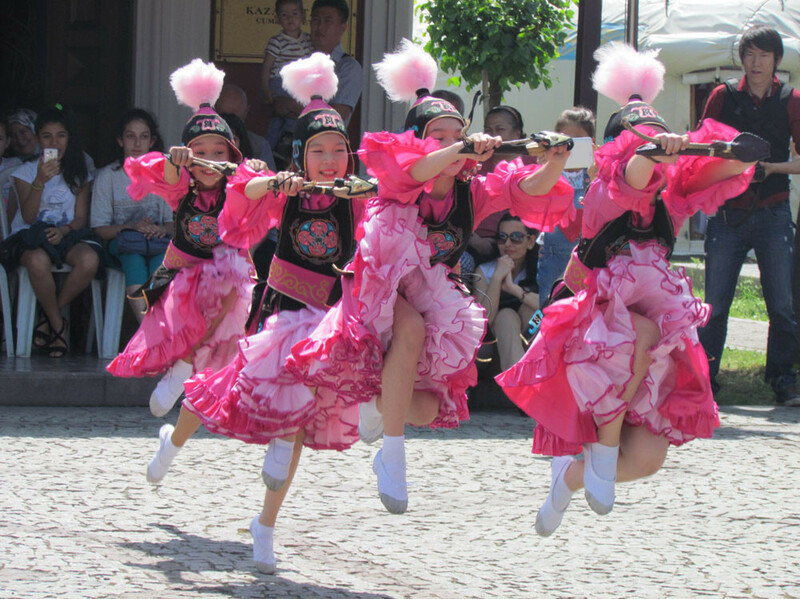 As an architectural monument, it shows that we were civilized and culturally successful. 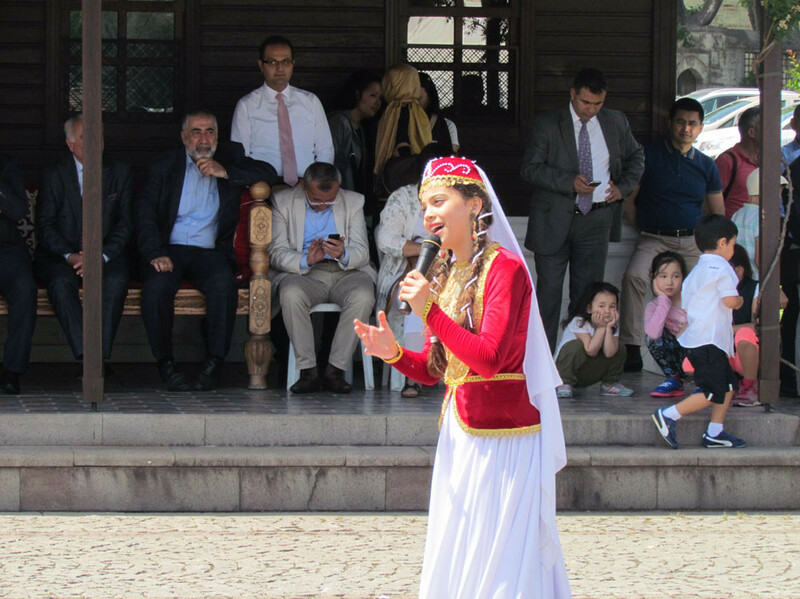 She points out municipalities and their affiliates did meaningful works in the recent years as in the case of Topkapı Turkish World Cultural Houses. 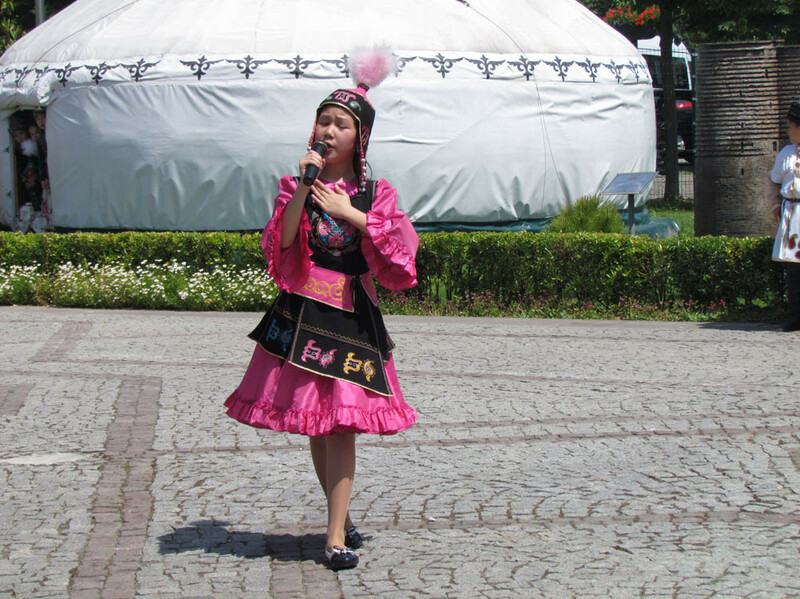 She said they successfully inform the youth on these issues which is very important. 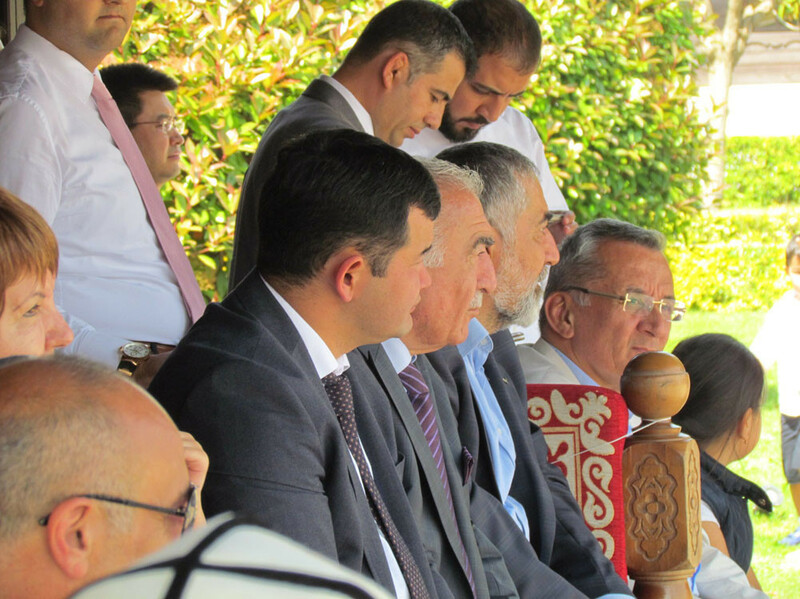 Even though Turkish Republics did not have strong ties with each other in the past, now they are showing their young people that they are the members of the same family and by coming together and being much closer. 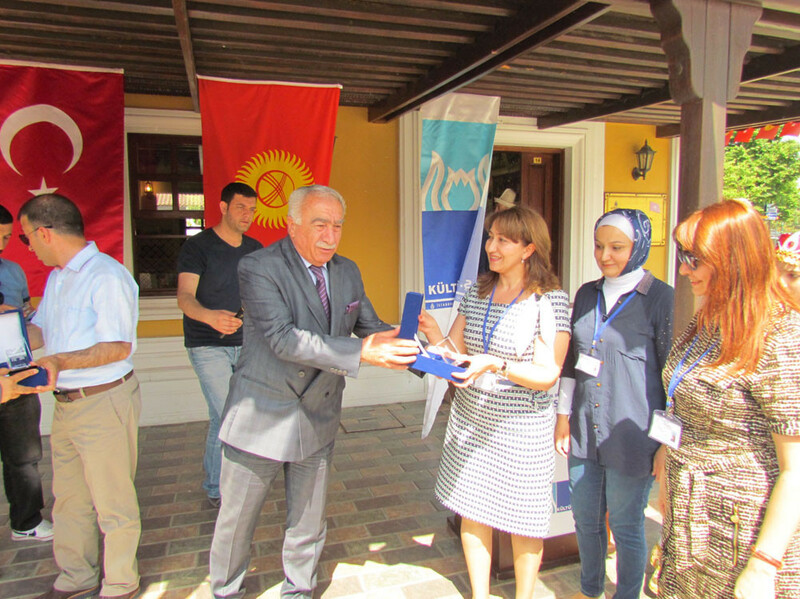 Ms. Çandaroğlu also added that, on behalf of the Turkish World Research Foundation, they will always be with those who organize these kinds of events. 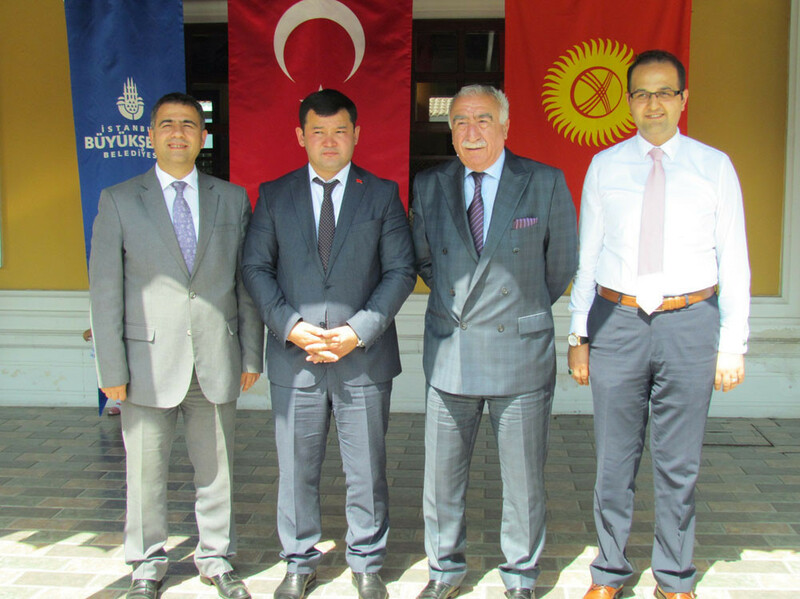 İstanbul Consul General of Kyrgyzstan Mr. Ranat Tuleberdiev expressed their satisfaction with the placement of the model of a historical monument in Kyrgyzstan in such a beautiful space. 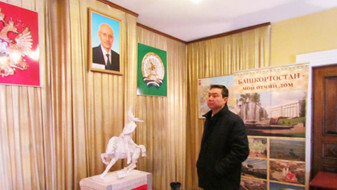 Tuleberdiev thanked Culture Co. General Director Nevzat Kütük because of these works. 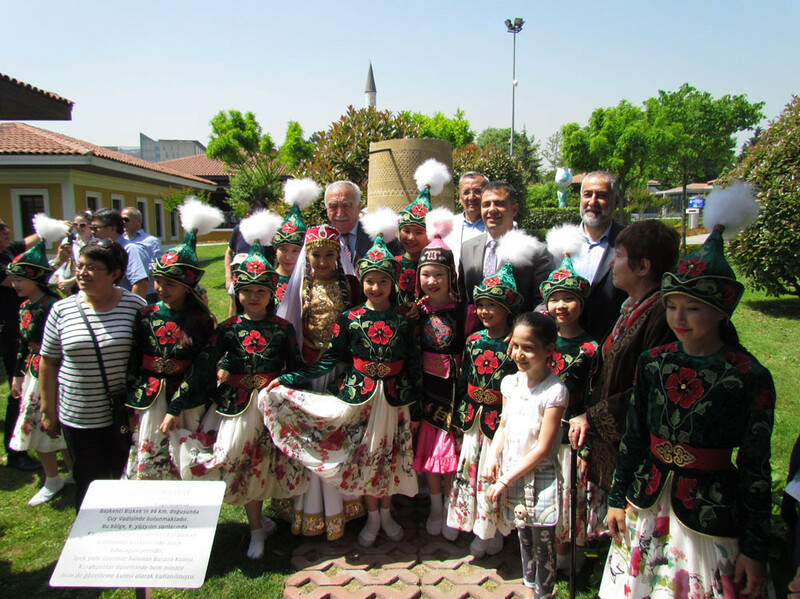 Stating that Kyrgyzstan is increasingly developing culturally and economically, Tuleberdiev said that the model of Burana Tower is placed at the Topkapı Turkish World Cultural Site constitutes a good example of the cultural dimension of this development. 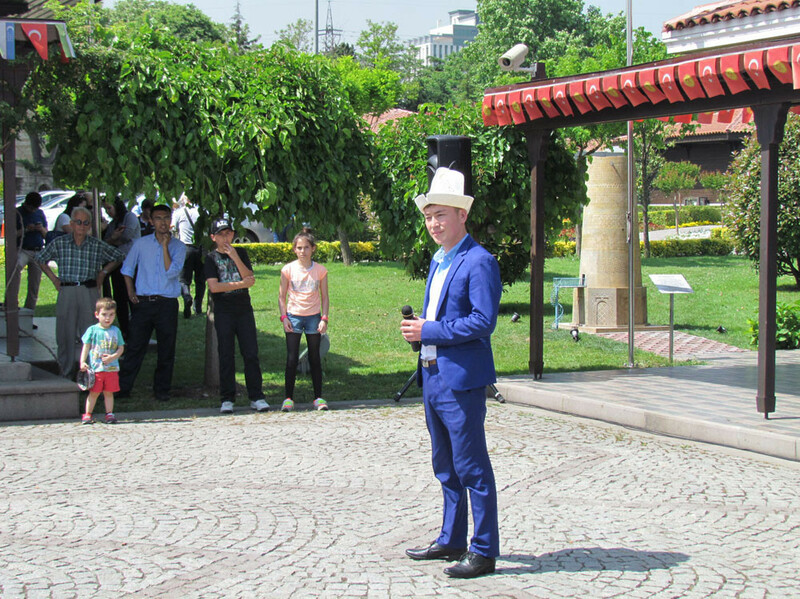 Tuleberdiev expressed his satisfaction on being all together at the opening ceremony and thanked all of the participants. 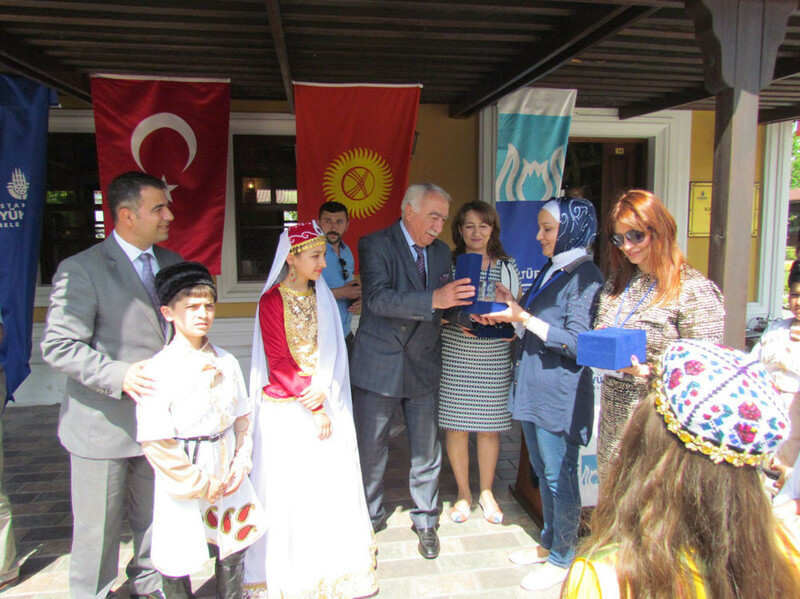 After the official speeches, İstanbul Consul General of Kyrgyzstan Mr. Ranat Tuleberdiev presented a plaque to Mr. Nevzat Kütük, Culture Co. General Director. 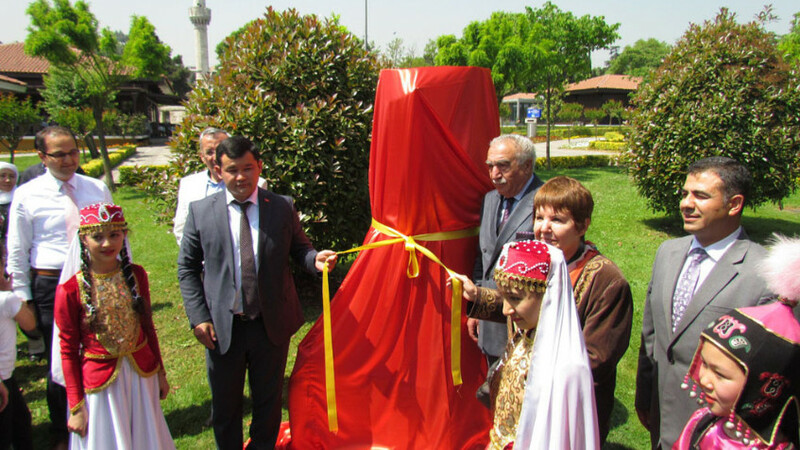 Then, with the participation of all the invitees, the red ribbon of the Burana Tower model untied and it is opened to visitors. 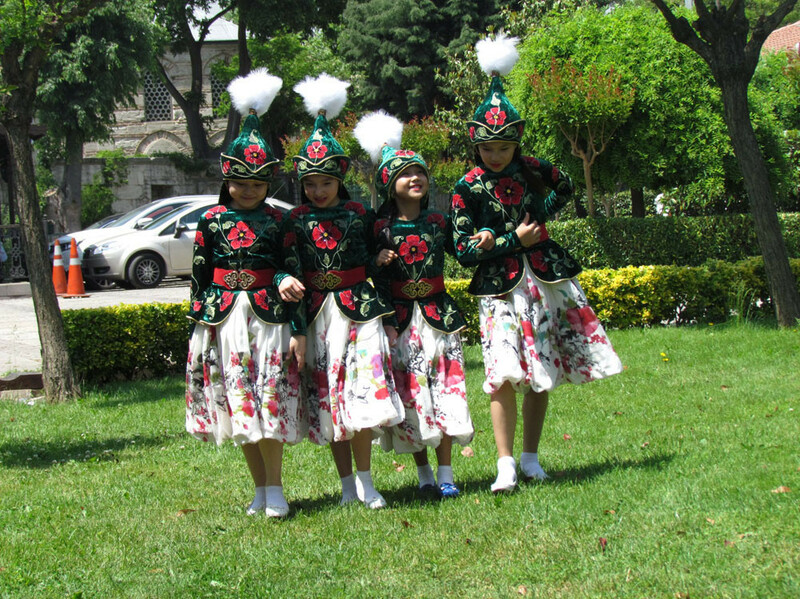 The photos of the officials, the invitees, and the folk dance teams are taken in front of the model. 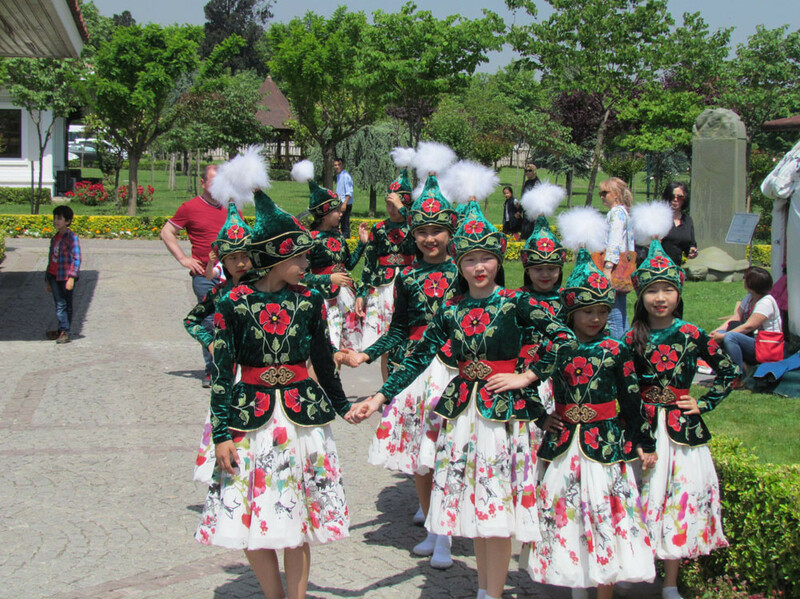 After the opening of the Burana Tower model, the folk dance performances started. 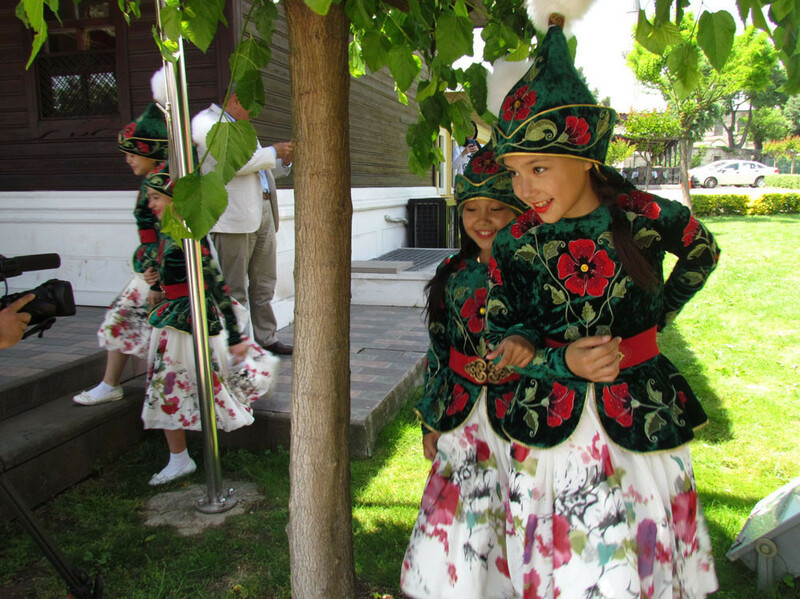 Folk dance teams form Kyrgyzstan and Azerbaijan who came to Turkey as the invitees of Culture Co. to attend the opening ceremony of the 21th Turkish World Children's Festival, performed beautifully in their eye-catching local costumes. 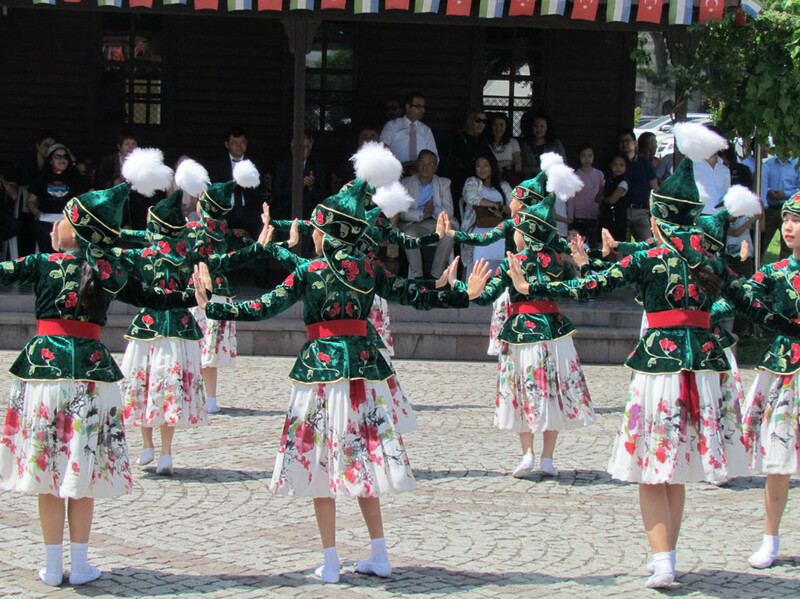 Kyrgyzstan team repeated their performance for a second time because of the big interest. 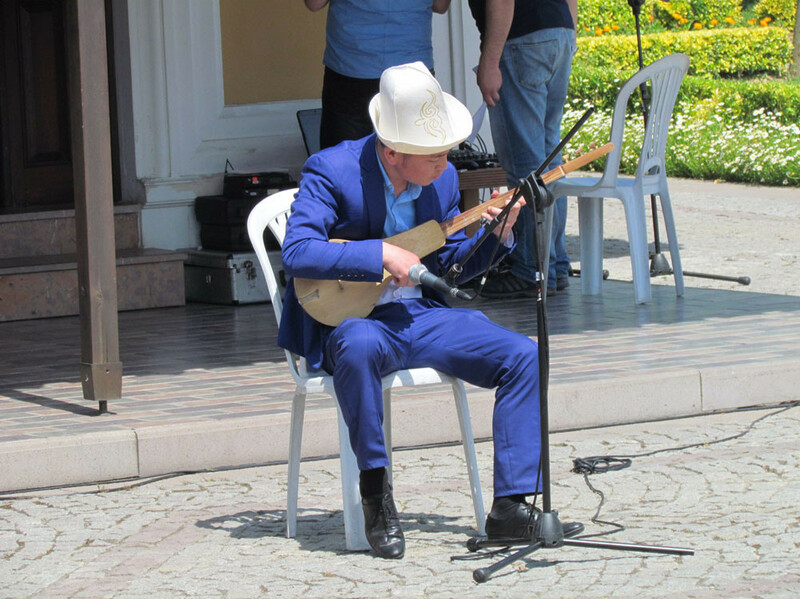 Torebek Cırgalbekov and Ulanbek Kızıkanişayev sang Krygyz songs. 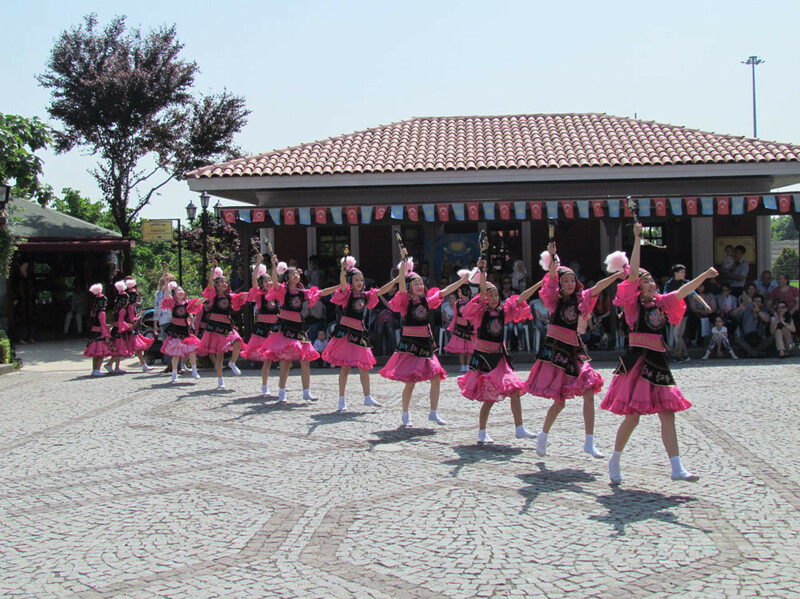 After the show, a plaque was presented to the folk dance instructors. 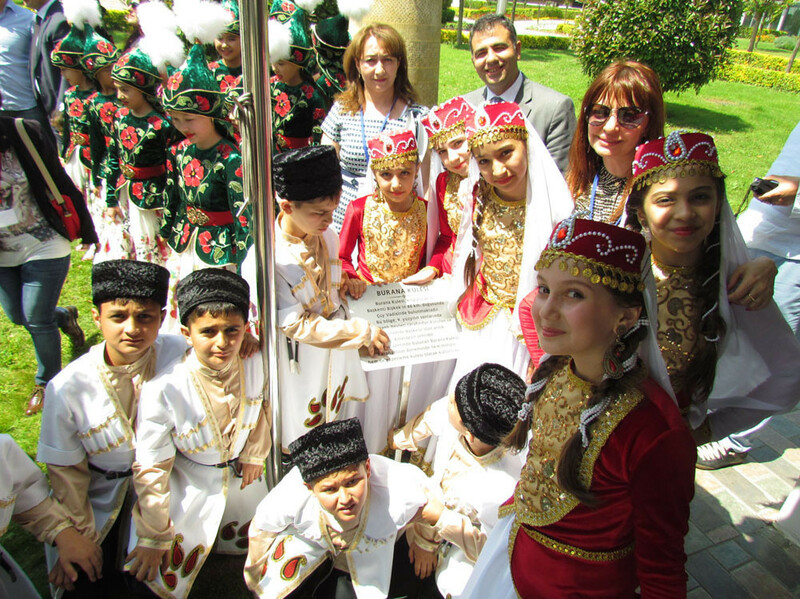 İstanbul Consul General of Kyrgyzstan Mr. Ranat Tuleberdiev presented their plaques to the instructors of the Kyrgyzstan team, Sırga Latydova and Nurgul Kaçkınbayev, Culture Co. General Director Nevzat Kütük presented their plaques to the instructors of the Azerbaijan team, and Culture Co. 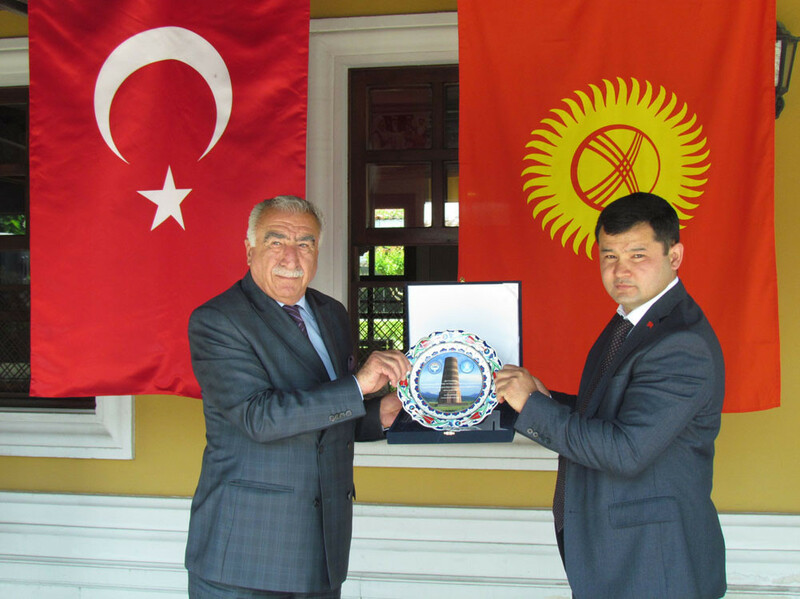 Administrative Affairs Manager Salih Doğan presented a plaque to Torebek Cırgalbekov. 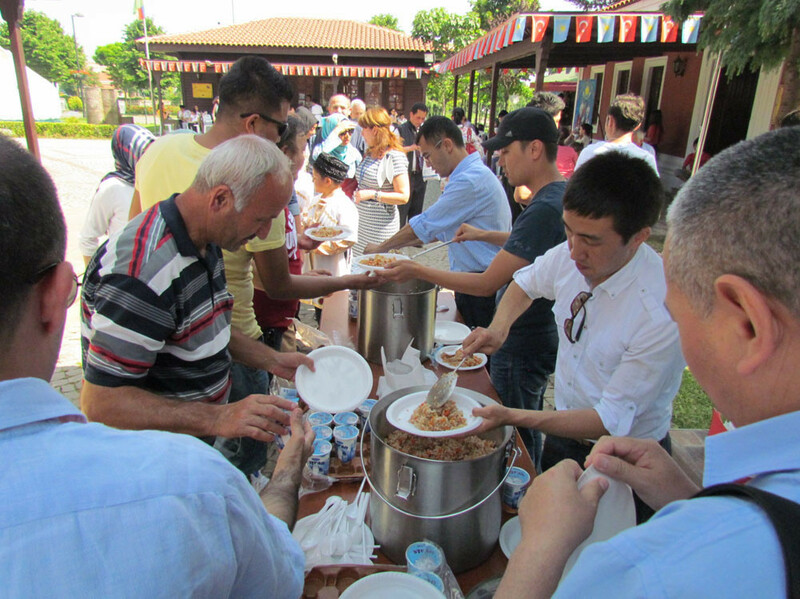 The program ended with the traditional rice and ayran served.